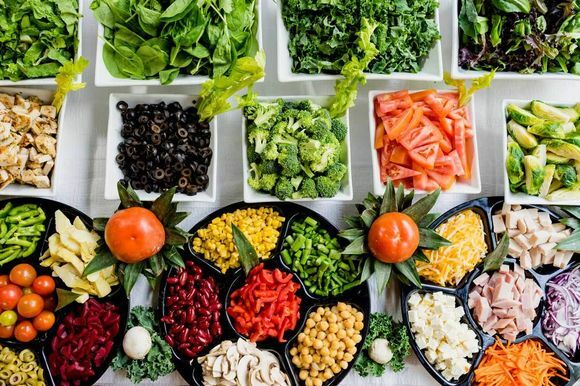 Whether you have a degree in nutrition, have personally experienced the benefit of a drastic dietary change, or just really love sharing your favorite nutritious recipes, it’s time for you to make some money off of your knowledge and start an online nutrition business. Before putting your product into the marketplace, you need to organize your thoughts and pinpoint what exactly it is that you are selling to your audience. In order to have a successful online nutrition business, you must start with a plan that is unique, scientific/brand specific, easily accomplished, and follows a certain selling model with cross promotion potential. 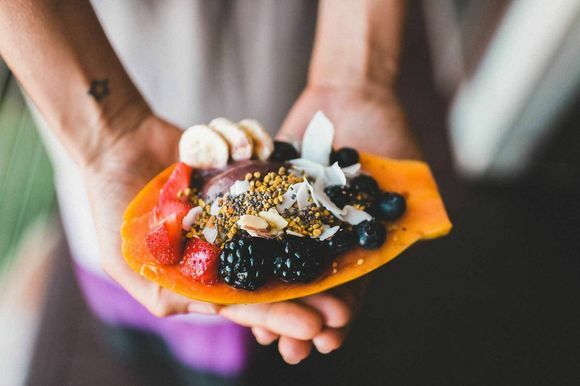 Since you are already passionate about the industry, you already know that when you start an online nutrition business, you are entering a highly saturated market. I don’t mean to discourage you, but to help you get thinking about how to make YOUR online nutrition business stronger. Many people claim to have the “secret” on how to lose weight without anyone having to change any bad habits (if you could see me, I am rolling my eyes right now). However, if you have something new and unique to offer with your online nutrition business, you could be incredibly successful with online sales. Just be aware that it’s not enough to claim that some new diet or exercise plan is going to be “the one” to actually help people lose weight. You’ll have to offer something more with your online nutrition business. Perhaps you can come up with a new angle on an old way of doing things. Take eMeals.com as an example. 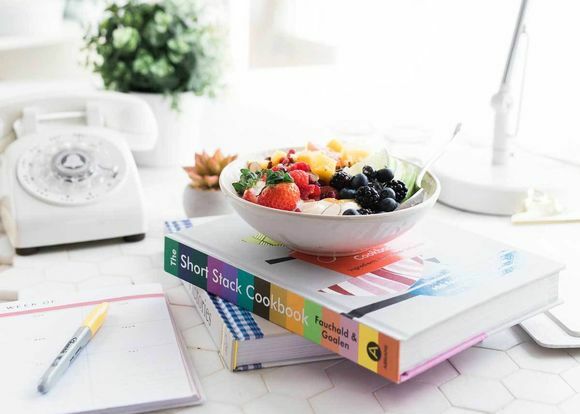 They don’t just provide recipes to their customers; they put the recipes together in a weekly meal plan, complete with an organized grocery list. This saves their customers hours of work by taking the time-consuming tasks of meal planning and making weekly grocery lists off their customer’s plates (pun intended). In addition, they cater to different dietary needs by offering plans for diabetics, vegetarians, those on the Paleo Diet, and more. Really think about what problem or problems your online nutrition business is solving for your customers. Go the extra mile to make it a unique business with something new to offer so your business stands out. If you are selling nutrition plans, create one based in the science of nutrition that will actually work for a majority of your audience. If you are selling a service or simply providing recipes for your audience on a blog, make sure you are being consistent in what you are offering. For example, don’t start a vegan blog and then switch to offering non-vegan recipes. This alienates your target audience. Make sure your brand is clear and specific across all facets of your business. Then stick to only offering things aligned with that specific type of branding. As stated earlier, it is really di cult to get people to part with their hard-earned money. One way to ease your customers into lightening the grip on their money is by making something easier for them, not more difficult (another delightfully obvious statement that still needs to be said/written). How can you make your online nutrition business easier for your customers so it attracts more of them? Now I know some of you are thinking that sometimes the best things for you (e.g. following a nutrition plan) aren’t always easy. I couldn’t agree with you more. What I am asking you to do is to think of creative ways to just make whatever it is you are offering a smidge easier for your customers to accomplish. For example, let’s say you are that blogger with a recipe that has 16 ingredients. Go the extra mile and research which stores have most of those ingredients on sale that week. Or take the top three grocery stores that your customers shop at and calculate exactly how much acquiring all of those ingredients will cost them. Alleviating some of these steps for your customers will prove you useful to them and keep them coming back to you for more. Knowing which selling model your online nutrition business falls into is key for marketing and future expansion purposes. Are you offering a self-fulfillment plan that your customers just have to follow on their own? Do you take it one step further with coaching sessions, helping to encourage your customers when they hit roadblocks in the plan? Are you offering a food product that will make your customers healthier? Are you a blogger that is offering recipes of a certain variety to your customers? Offering more than one of these things can help you upsell your customers and get even more income from your online business. However, you want to identify which model your business falls into in the beginning to help you come up with creative ways to expand your offerings in the future. For instance, I read Haylie Pomroy’s book The Fast Metabolism Diet, and decided to go ahead and try her weight loss method. I was able to follow the rather strict rules of the diet and did indeed lose weight, however, it was a difficult diet to follow in terms of what you are and are not allowed to eat for 28 days. The friends that I convinced to try the diet quit after only one day (yes, ONE day) even though they had seen me lose weight and knew that the FMD methods work. My friends said it was just too difficult to cook for themselves for every single meal because they couldn’t use any shortcuts (AKA: processed foods) with wheat, corn, dairy, added sugar, etc. in them. 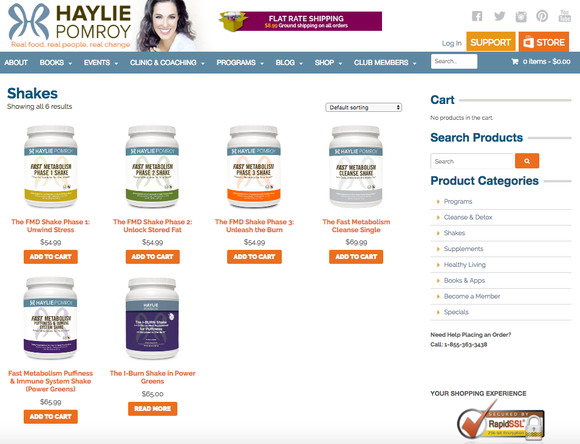 After going to Ms. Pomroy’s website, I discovered that she offers meal replacement shakes for each phase of the diet, which makes a huge difference for people not accustomed to cooking for themselves all the time. Now any time I recommend this diet to my friends, I encourage them to check out Ms. Pomroy’s website and get some dietary aides to help ease them into achieving their weight loss goals with this method. Like Ms. Pomroy, if your business begins with a self-fulfillment plan for your customers, consider extending your business into the coaching or food product fields to help your customers achieve their goals. The more resources you give your customers, the more successful they will be (and the more successful you will be in the end). Just make sure you know where you are starting out with your business so you can focus on developing where you are going in the future. Spend some time thinking about what type of online nutrition business you will be offering, and what products you wan to to sell. Next, we will discuss how to develop your online presence and reach your audience.